Always have a day's worth of clothing in your carry on, especially a bikini if you're heading to a tropical location. Every woman has experienced the discomfort and frustration that comes from trying on swimsuits, but life is too short to miss out on family vacations, pool time, and getaways because you aren’t feeling confident! 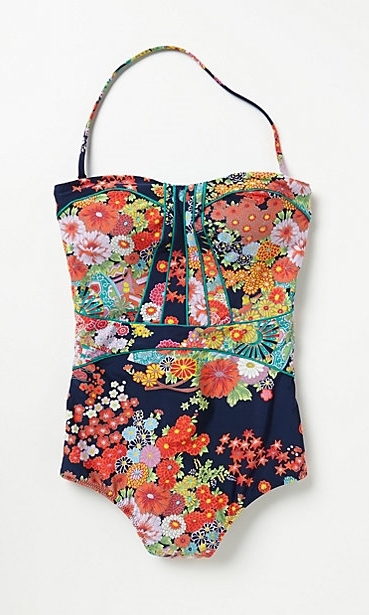 A quality swimsuit that fits and flatters makes all of the difference, and with a large selection to choose from and our help, we promise you will find one that you love. Creating fashionable swimwear since 1956. Sophisticated, figure flattering prints and colors for the more conservative woman. One piece, tankini and bikini's. There is a bohemian girl in all of us. Gypsy-influenced designs are fun and youthful with surprising detail and vibrant color schemes. One-piece and bikini's. Surfer girl chic. For the active, sporty woman who loves to play in the water and look good doing it. Classic scuba inspired looks include zippers and mesh in fun colors and prints. One-piece and bikinis. When in doubt, go vintage. 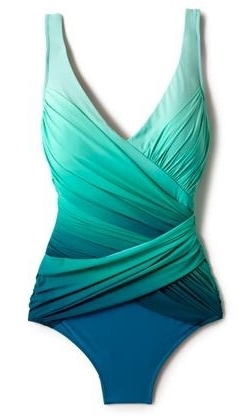 The Pin-up mermaid suit that everyone loves to wear. Vintage prints in polka dots, cherries and cheetah. One-piece and bikinis. The perfect combination of style and function. Available in a variety of cuts that are meant to support and flatter, with unexpected details that make every suit unique. One-pieces, tankinis, and bikinis. Versatile, convertible cover-ups that can be worn in lots of ways. Make packing quick and easy, and save room in that suitcase.